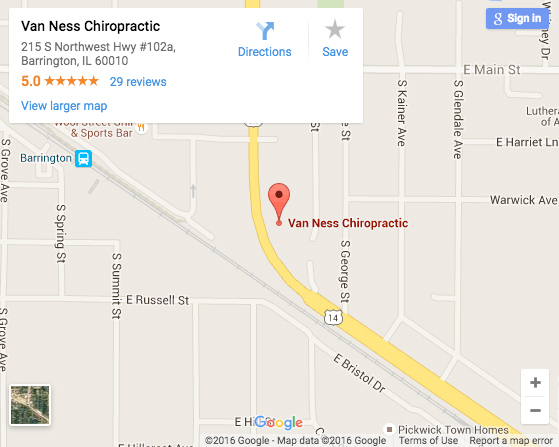 At Van Ness Chiropractic, we emphasize injury prevention, injury recovery, and performance care. Dr. Van Ness and Dr. Parkin are specially trained sports chiropractors who offer superior evaluation and treatment for today’s athlete. Our integrated care will help ensure that our athletes are prepared to compete at their best for any race, big game or tournament. Dr. Van Ness and Dr. Parkin are both athletes, treating athletes. We start with an initial evaluation, which includes a functional movement screening with additional sports specific biomechanical tests to address structural alignment, deficits in range of motion, muscle strength and flexibility, and proper form. We combine chiropractic care, massage therapy and corrective exercise to speed up improvement and prevent future reoccurrence of injury. These methods allow for a faster recovery and pain reduction to allow our athletes to continue to train and compete (if safely possible). Weekend Warrior or Elite Athlete? Whether you are looking to run a 5K with the family, set a CrossFit PR, or compete in the Iron Man, we can help you to perform at your best. Simply let us know what your goals are, and we will work together to make your goals become a reality. Does Your Child Have A Sports Injury? Sports chiropractic care combined with corrective exercise and massage, is effective and completely safe for treating youth athletes. Because Van Ness Chiropractic treats athletes of all ages, we are confident in treating your child’s injury. Sports chiropractic care in the weeks following a concussive injury can reduce symptoms and speed up the return to play. A concussion occurs when an athlete receives a traumatic blow to the head, neck or body, changing the way the brain functions. A concussion can also cause a whiplash-type of injury to the neck. The term “whiplash” refers to a sprain/strain injury or tearing to the muscles, tendons and ligaments of the neck, causing a loss of normal function in the spine. When not evaluated and treated, an injury to the head and neck can have life-long effects. Chiropractic care increases the performance of the nervous system and when combined with active exercise/rehabilitation is a favorable way to treat athletes with post-concussive syndrome – especially when symptoms last for a month or longer. Combining chiropractic care with standard concussion protocol can give your athlete the most effective method for returning the head and neck to a proper level of function thus ensuring a full, quick recovery. Dr. Van Ness, a Certified Chiropractic Sports Physician and a member of the American Chiropractic Board of Sports Physicians Concussion Registry, offers Return-To-Play Assessments as part of the integrative services at Van Ness Chiropractic. Call 847-842-8070 to schedule today.